KYIV. Jan 23 (Interfax-Ukraine) – The European Bank for Reconstruction and Development (EBRD) is extending a hryvnia denominated loan of UAH 135 million (equivalent of $5 million) to Rukavychka group, a major food retailer operating 110 convenience stores in western Ukraine for the expansion of the company’s operations. “A six-year loan by the EBRD will support Rukavychka’s investment program, which envisages the opening of 42 new stores across western Ukraine by the end of 2018, modernization and energy efficiency improvements in the existing stores and the development of a logistics centre,” the bank said. The project will also benefit from an incentive grant of almost $200,000 extended under the EBRD Finance and Technology Transfer Centre for Climate Change (FINTECC) program designed to transfer technology in the area of climate change mitigation and adaptation, launched in Ukraine in February 2016. “The grant to the Rukavychka group will cover introduction of a wide range of energy efficiency measures including the installation of heat recuperation systems and biomass boilers as well as the replacement of the existing cooling compressors and other equipment in the stores of the Rukavychka chain,” the bank said. 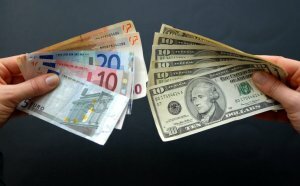 The bank said that the EU4Business Initiative groups together all the EU support for small and medium-sized enterprises in the region of the Eastern Partnership which brings together the EU, its member states and six partner countries: Armenia, Azerbaijan, Belarus, Georgia, Moldova and Ukraine. Lvivkholod trade and industrial company LLC, founded in 2004, develops the Rukavychka store chain. 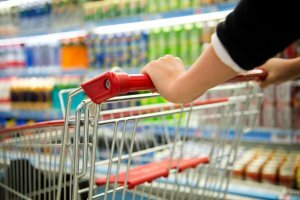 As of January 20, 2017 the chain had 110 supermarkets in Lviv, Ternopil, Ivano-Frankivsk, Khmelnytsky and Rivne regions. KYIV. Jan 23 (Interfax-Ukraine) – The World Bank and Swiss Cooperation Office would provide $2.5 million as technical and organization assistance to Lviv and Poltava regions to reform the healthcare system, the press service of Ukraine’s Health Ministry has reported. “Lviv, Poltava and other regions which will launch the medical reform first would receive technical and organization assistance under the trilateral project with the participation of the World Bank, Swiss Cooperation Office and Health Ministry,” the ministry said. The project will be implemented in 2017-2020. Its consists of two elements – technical assistance to the regions to introduce top priority directions in healthcare reform and increase institutional ability aimed at improving the healthcare system management, fighting corruption, monitor procurement and financial operations under the Serving People, Improving Health Project for Ukraine. “The project is important in the context of implementing the World Bank’s Serving People, Improving Health Project for Ukraine envisaging the use of a $214.73 million loan,” the press service said. In March 2015, the World Bank’s Board of Executive Directors approved a $214.73 million loan provided by the International Bank for Reconstruction and Development (IBRD) to implement Serving People, Improving Health Project. 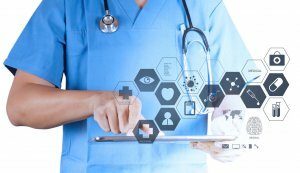 The project will seek to develop medical infrastructure and improve the quality of health services in eight regions across the country: Vinnytsia, Volyn, Dnipropetrovsk, Zakarpattia, Zaporizhia, Lviv, Poltava and Rivne regions. KYIV. Jan 23 (Interfax-Ukraine) – Poland’s LOT airline on June 4, 2017 will increase frequency of regular flights from Kharkiv to Warsaw from six times a week to seven, the press service of the Kharkiv International Airport has reported. “From March 5, 2017 LOT will send planes to Warsaw from Kharkiv on Mondays, Tuesdays, Wednesdays, Thursdays, Saturdays and Sundays, and from March 31 through June 3 all days of the week, apart from Saturday,” the airport said. LOT commenced servicing regular flights from Kharkiv to Warsaw in March 2016, starting from five times a week and expanding to six. In 2016, the airport saw a 61% rise in passenger flow in 2016, to 599,700, and this is almost the same as the record-breaking figure of 2013 (605,000 passengers). Kharkiv airport has a runway with a length of 2,220 meters and a width of 50 meters. It has two passenger terminals with a capacity of 100 and 650 persons per hour. The airport is operated by DCH through New Systems AM. KYIV. Jan 23 (Interfax-Ukraine) – The Volkswagen brand seeks to occupy at least 5.3% of the Ukrainian new passenger car market in Ukraine in 2017 (its share was almost 7.6% in 2016), expecting the market growth by at least 8.5% compared to 2016. 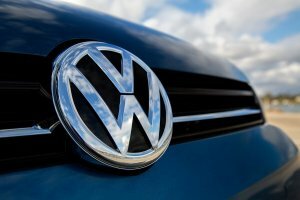 Volkswagen passenger car marketing manager at Porsche Ukraine Oleksiy Ischenko told Interfax-Ukraine that the new passenger car market could be at least 70,000 cars (64,478 in 2016). Volkswagen seeks to sell around 3,700 cars (4,884 were sold in 2016 compared to 2,180 in 2015). He said that last year was successful for the brand. It managed to reach the top three leaders of the car market (in 2015 it was eighth with 4.7% market share). “The key driver of our success was competitive pricing of popular cars VW Jetta and Polo Sedan. We managed to offer well-equipped cars with efficient engines to the market,” he said. The company did not comment on the projected reduction of the market share in 2017. Ischenko said that this year it is planned to bring new models to the market. “The important newcomers this year will be upgraded VW Golf and new car Arteon, the new flagship of the passenger car range of the brand. Arteon is the idea successor of Volkswagen CC,” he said. It is planned to present a seven-seat car of new Tiguan. Ischenko said that today Porsche Ukraine has 26 dealers in the country and this year the chain does not plan to expand. 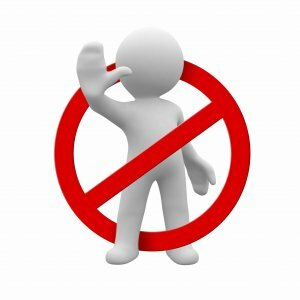 The Ukrainian League of Industrialists and Entrepreneurs (ULIE) has urged lawmakers to dismiss bill No. 3549-1 concerning electronic communications that will be put for repeated first reading on January 19 and two other options of the eponymous bill. The ULIE said in its address to parliamentarians that bill No. 3549-1 is aimed at not harmonizing Ukrainian legislation with the EU, but approaching the national law system with the Russian one. “The requirements and provisions that are not in line with the Constitution of Ukraine, Ukrainian legislation and EU recommendations restricting Constitutional rights of citizens, not complying with the state policy and creating the conditions for the unlawful seizure of power by a group of persons in regulating the most attractive sector of Ukraine are evidence of this,” the league said. As reported, on September 20, 2016, the Verkhovna Rada sent for repeated first reading bill No. 3549-1 concerning electronic communications submitted by MP Oleksandr Danchenko. Two other bills – No. 3549 submitted by MP Yuriy Moroko and No. 3549-2 submitted by MP Ruslan Lukyanchuk and Valeriy Babenko – were rejected or failed to have enough supporting votes.